Those words remain relevant today. Campaigns on everything from an Arms Trade Treaty to Syria can achieve much more if they have global reach and are not confined to a few countries, which can indeed weaken or set back the campaigning aims. 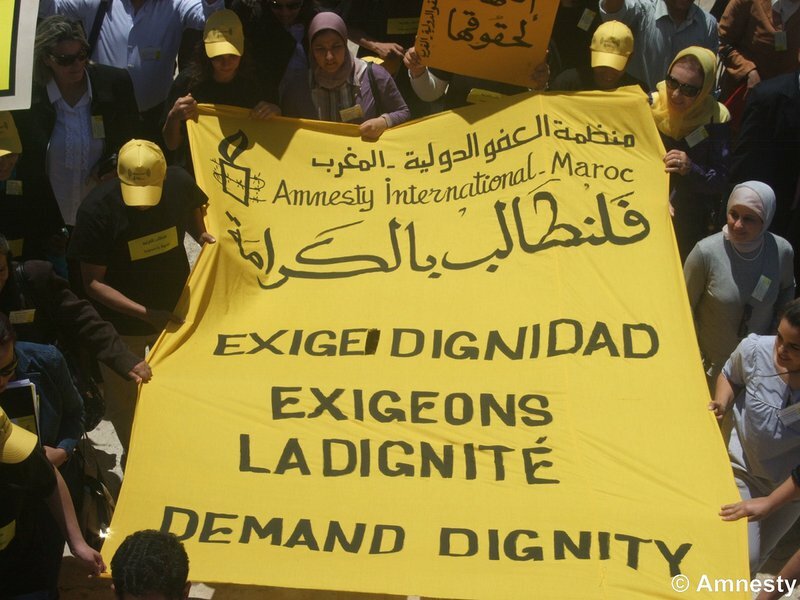 In its early years, Amnesty International quickly opened chapters in a number of other countries, especially in western Europe and North America. But seeding sections in the global south was difficult for a variety of reasons, the main one probably being the simplistic idea of transposing a western model on the rest of the world. In addition, membership-based organisations with individual paid subscriptions organised by local groups had almost no precedent outside of the west. The concept of formally organised NGOs was itself relatively new. Membership-elected governance often resulted in internal squabbles and problems with governance. A large number of local chapters sprung up without the capacity for the global movement to really support most of them during their early years. Still, Amnesty International grew in strength with millions of members. The combination of high-quality investigations and fact-finding from the centre and grassroots membership, mainly in the west, produced impressive results in a range of contexts—releasing political prisoners, fighting torture, combating the death penalty, and creating the International Criminal Court. But the task of preventing and ending grave human rights abuses is far from complete. Newer human rights challenges are emerging on top of the old ones. Today, Amnesty's push to build a truly global people's movement for human rights is all about making the organisation fit for the twenty-first century. In contrast to 1961, when we were founded, there are now effective human rights organisations and local movements in many parts of the world. The spread of mobile phones, internet and media, reinforced by the growth of democracy, has empowered people—especially youth—to stand up for their rights as never before. At the same time, economic and political power is now clearly more multipolar. That partly reflects the rapid growth of China, but it also reflects the many countries—from Brazil to India and Indonesia, from Mexico to Nigeria—that are becoming increasingly influential in their own region and beyond. Amnesty International's “Moving Closer to the Ground” initiative is aimed at working more closely with local organisations and human rights defenders and joining together to build rights-respecting societies. These factors require change to be driven in a more bottom-up manner. Now, for the first time ever, there is a real possibility of doing so. Amnesty International's “Moving Closer to the Ground” initiative is aimed at working more closely with local organisations and human rights defenders, responding more quickly and effectively to human rights violations, and joining together to build rights-respecting societies. These changes are now well under way. A key first step has been to move from a single London-based centre to a more distributed system with organizational hubs dispersed across key regional capitals worldwide. We have already implemented the first phase with full service hubs with campaigning, research, advocacy, media and movement building capacity. Most of our Africa programme has moved from London to Dakar, Nairobi and Johannesburg. Our East Asia work, moreover, is now fully run from Hong Kong, with Latin America about to move to Mexico and South and South East Asia getting closer to the ground. In the last few years, we have also established a significant presence in India and Brazil, with similar work in Nigeria about to commence. The approach we are taking now in building new national chapters is much more customised to the context and learning from the limitations of the previous model. The global hub in London will, under the guidance of the International Board (who continue to be elected by national Boards), provide overall strategy, coherence and quality assurance. All global level work—including global campaigns, law, policy and advocacy—will also be driven from the global hubs. The vast majority of our funding for both the global work and the work in the regional hubs and national offices continue to be from our millions of individual members and supporters. The support we receive from a few major foundations to cover some of the transition costs has also been invaluable. As one would expect, some local NGOs were anxious about the impact of a large international group suddenly setting up shop in the capital city. Now that people are able to see the way in which Amnesty is operating—working in a mutually supportive manner and not crowding out individuals and organisations that have struggled for justice and human rights for decades—we have created and reinforced powerful collaborations on the ground. As importantly, we are starting to build our strategies and approaches in a more ground-up manner—working directly with those whose rights are being violated, and combining this with international solidarity and leverage, where appropriate. We recently conducted a survey and heard from more than 25,000 people, in almost every country in the world, regarding our planned new strategic goals. What came through most strongly is that people want us to be pushing to make human rights real in people's lives, and to respond to crises. Are all these changes simple? No, clearly not. We had a lot of work to do internally within the movement to develop a shared understanding of the changing context and how we should respond. Even after we gained this agreement, there have been several implementation challenges including explaining the changes to our partners and other key human rights actors on the ground. Many of the challenges, as expected, have also been of a practical, logistical nature—securing the right legal incorporation and permissions, finding the physical spaces that meet our security requirements, getting work permits, phone and internet connections, and so on. We are still some distance from getting all the systems and processes in place to work in a globally distributed manner rather than the more traditional top-down style. And we are still in the process of building confidence—increasing mutual trust, hiring people with the right competencies, training them and fighting old habits. Without doubt, these shifts take a lot of time and effort. But are these changes necessary, for a global human rights organization in the twenty-first century? Yes, absolutely. I am sure we will make some mistakes. But the important thing is to acknowledge them, learn from them and above all, keep the interests of the people for whom we are advocating at the forefront of all we do.